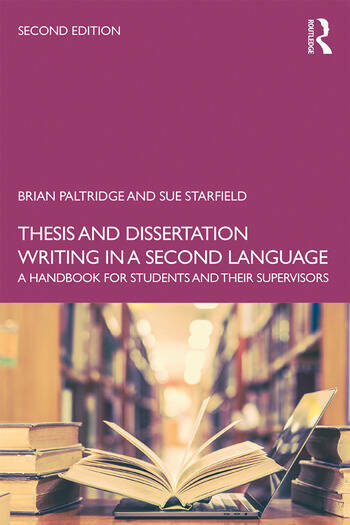 Fully updated and packed with new material, the second edition of Thesis and Dissertation Writing in a Second Language is the ideal guide for non-native speaker students and their supervisors working on writing a thesis or dissertation in English. Suitable for students from all disciplines, Thesis and Dissertation Writing in a Second Language is essential reading for non-native speaker students looking to complete a thesis or dissertation in English. Brian Paltridge is Professor of TESOL at the University of Sydney, Australia.